Shark Rotator Professional Lift-away Compatible HEPA Filter & Foam & Felt Filter for Shark NV500 Series. 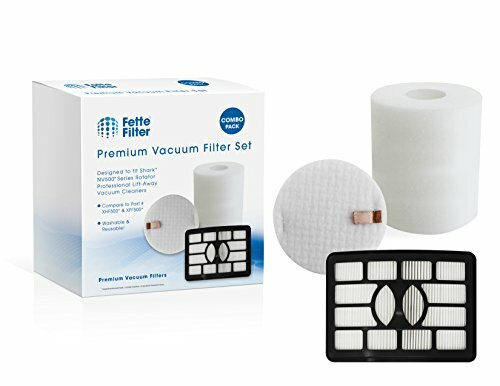 Contains 1 HEPA Filter & 1 Washable Foam and Felt Pre-Filter Replacement Kit. For use with Shark Rotator Professional Lift-away NV500, NV501, NV502, NV505, NV510, NV552, UV560. Replaces Part # XHF500 & XFF500. This is not a Shark® OEM product. The Shark® brand names and logos are the registered trademarks of their respective owners. Any use of the Shark® brand name or model designation for this product is made solely for purposes of demonstrating compatibility.